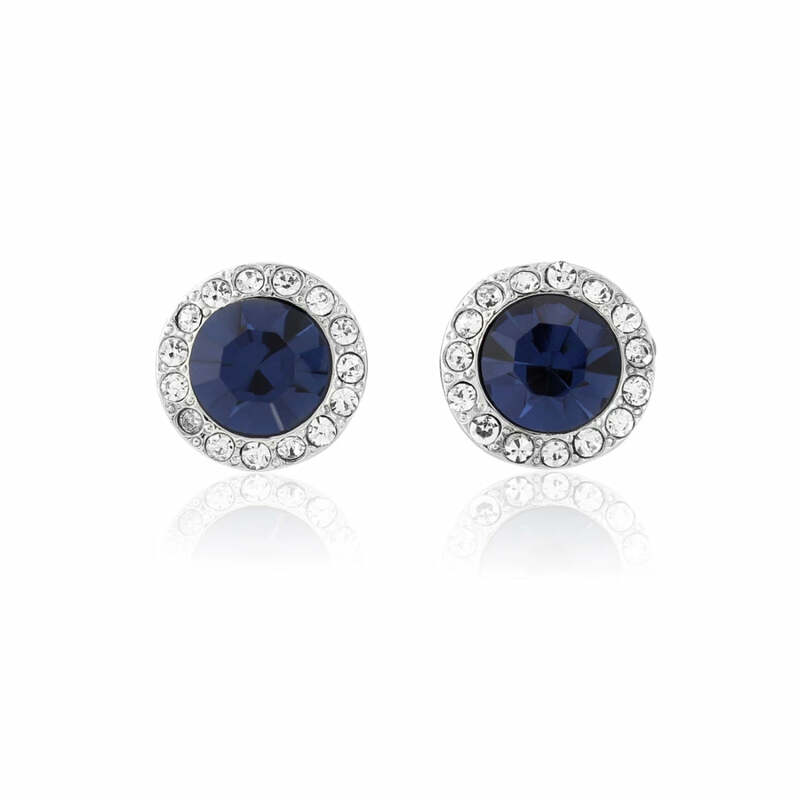 Classic and incredibly chic these navy and clear crystal studs are simply stunning. If ever there was an award for the most chic, classy colour, it’s fair to say navy blue would be a very strong contender. Adorned with the midnight depths of the most timeless hue, our Moonlight Shimmer Earrings capture a style that is refined and utterly gorgeous. Featuring a single deep blue crystal encircled by petite sparkling clear crystals subtly set in a silver tone surround, this stunning pair is perfect if you adore the sheer elegance of navy stud earrings. As one of the most popular colour schemes, brides with a navy wedding theme will adore Moonlight Shimmer. The most divine navy bridesmaid earrings to complement all dress styles, our coordinating collection of navy jewellery can be mix n matched with this chic pair to emphasise your classic wedding day. Perfect to take you from day to evening with understated style, Moonlight Shimmer look as fabulous with a city-chic trouser suit as they do with an exquisite floor-sweeping deep blue silk gown. With such versatility for all occasions, they’re certain to spend very little time stored in your jewellery box.